I'm having problem with my Extron 203Rxi. There's no visual on screen but I can see that signal are there (480/60p) shown on my BVM-D20 instead of No Sync. 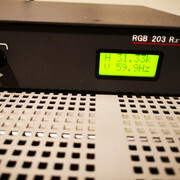 On Rxi itself the signal are there (H/V) shown on its panel. I'm using Rxi for its SERR function for my Dreamcast. Is there a way to troubleshoot the Rxi ? It's not the DC and Toro issue since it work perfectly when I connect them directly to my VGA monitor. I tried 2 different RGBS cable for the output. I would try RGsB instead. Three instead of four cables and you get a picture even with the BVM misconfigured to YUV. You just need to set the BVM to internal sync. For RGsB, will it work with gscartsw ? I think you get SoG and seperate sync at the same time, so you can still use the combined sync to trigger the switch's port selection while using SoG for actual sync on the monitor. Tried RGsB, toggled the SOG dipswitch, switched sync to int, no sync at all. Compared to RGBs which i can see the 480/60p on screen. I remember the only changes i did prior to this problem is changing the arrangement by putting 203 between gscartsw and BVM. 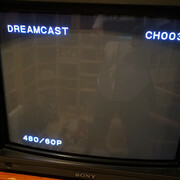 So it was DC > Toro > gscartsw > (friend made scart to vga cable) 203 rxi > bvm.